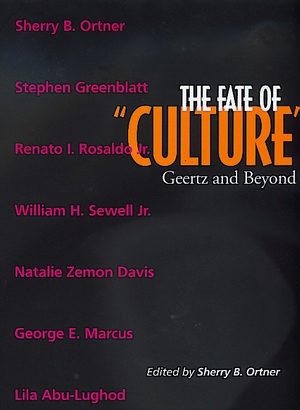 Clifford Geertz is one of the foremost figures in the reconfiguration of the boundary between the social sciences and the humanities in the second half of the twentieth century. Expanding the power and complexity of the anthropological concept of culture, his work is both foundational to, and in critical counterpoint with, that vast interdisciplinary spectrum of scholarship known today as "cultural studies." This book brings together seven leading scholars from four disciplines to take a fresh look at Geertz's work, and to consider the continuing implications of his work in the contemporary context. Framed by an important introduction by anthropologist Sherry B. Ortner, the articles cover such topics as seventeenth-century English ghosts, Jewish merchants in early capitalism, Egyptian women in the age of television, and the role of Sherpas in Himalayan mountaineering, as well as such methodological issues as the place of emotional empathy and "complicity" in ethnographic fieldwork, and the mutual illumination of culture and history. Sherry B. Ortner is Professor of Anthropology at Columbia University and is currently completing her third book on the Sherpas of Nepal, Life and Death on Mount Everest: Sherpas and Himalayan Mountaineering. Lila Abu-Lughod, Natalie Zemon Davis, Stephen Greenblatt, George E. Marcus, Sherry B. Ortner, Renato I. Rosaldo, William H. Sewell Jr.